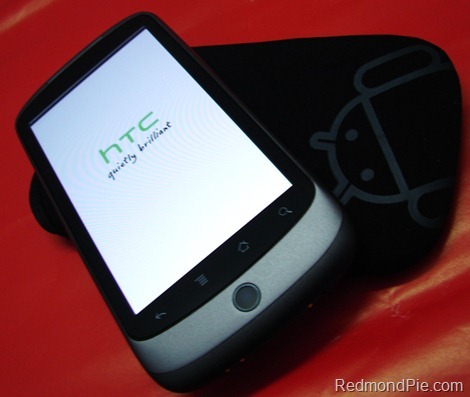 Paul at Modaco forums has finally released a very alpha version of the HTC Desire ROM with HTC Sense for Nexus One that we posted about a few days ago. The ROM also packs Flash 10.1 for Android along with lots of widgets for the HTC Sense experience. There are some bugs and glitches here and there but since its an alpha ROM, these can be expected. Here is how it looks like running on Nexus One. Nexus One – Booting up with HTC bootscreen. You can follow the step by step guide posted below (on your own risk) to get HTC Sense from HTC Desire up and running on Google Nexus One phone. We are not to be held responsible if you ended up bricking your phone. 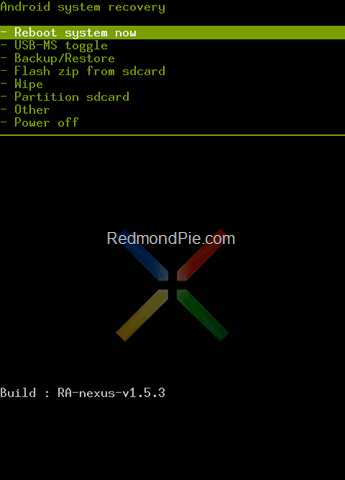 Step 2: Download the patched recovery-RA-nexus-v1.5.3.img recovery image from XDA here, move it to the same folder as fastboot.exe, and then flash it by running the following command via Command Prompt. Fastboot tools can be downloaded from here. Step 3: Download the HTC Desire ROM from the source link here and copy it to over to the root of the SD card on the phone. Step 4: Now power off the phone and enter the recovery image by powering on while pressing the ‘Home’ trackball. Step 5: Now you will be rebooted into custom RA recovery mode. Select ‘Backup/Restore’ from the menu to do a Nandroid backup. Step 6: Now select “Flash zip from sdcard” to flash your Nexus One with the latest alpha version of HTC Desire ROM. Step 7: Reboot your phone and enjoy HTC Sense on Nexus One! Everything should now be working as it should, here is a video which shows off the new HTC Sense experience from HTC Desire, running on Nexus One. UPDATE 1: Alpha 7 of the ROM is now available. This version fixes the “stuck on white screen on boot”. Download links have been updated in the instructions posted above. The fix written in the “NOTE” section above is now no longer needed. UPDATE 2: HTC Desire and HTC Legend have been Rooted! More info here. WILL THIS ROM WORK ON ANY OTHER ANDROID MAYBE AN ERIS ???? So there is no use in trying this rom on a G1 (HTC Dream)? I installed the ROM successfully, but I can't seem to start my phone into it. I've installed the alpha-7 but it just gets stuck on the HTC quietly brilliant white screen. What have I done wrong? How do we do step 2 in Mac OS X? After having installed Alpha8 my Nexus One is still stuck with the white HTC startup screen and freezes. Is anybody getting stuck at the htc boot screen? how do you do step two on a mac? Same here. A10 freezes on HTC boot screen. Any idea how to get around it? How do I “copy it to over to the root of the SD card on the phone.” at step 3. I can’t seem to access my SD card. I did everything above got to the reboot and got stuck on the HTC logo/white screen. I performed this today. I am restoring now. Is there a way to undo the unlock? does it work on my nexus one fw version 2.1-1, baseband 32.24.00.22U_4.03.00.21_2, build ERE27?….if it is than i wanna take a shot…thank u. Any resolution to this? Can't connect to T-Mobile 3G using Alpha 19 on Nexus One. Did you find a fix for the no network? I’m having the same problem. I’m on T-Mobile US I just had to set up the APN and everything worked fine. Settings > Wireless & Network > Mobile Networks > Access Point Names. I had to play with a couple of different settings to get everything to work fine. Google t-mobile apn to find the settings online. How to remove the sense and remain with the original nexus one ui?? Mine was working okay for a few days – it's important to wipe all data before. Things / issues I have noticed were 1. camera did not work at some stage – only black screen, had to reboot. 2. GPS was flaky, only worked after a reboot. Screen lock sometimes unlocked in my pocket, never happend to standard Android … so back to TheOfficial ROM … not quite as pretty, but working. When will a stable Desire ROM be available? Anyone? before install the rom fron SD Card, you can wipe the nexus one. One thing that annoys me about that is that the phone appears to have their branding on it. Totally annoys the hell out of me. Want to remove it but I would most likely have to flash it Sad. My command prompt is saying “waiting for device”…..I am connected to pc with usb debugging connected, and storage enabled, but nothing is sending. Can you please help me figure out what is configured incorrectly? Oh NOOOOOO……I completed everything and it looked like all would be okay but even though I used the Alpha-21 rom I only get the HTC brilliant white screen and I CANNOT GET BACK TO BOOTLOADER!!!! THE PHONE KEEPS REBOOTING ITSELF INTO THE WHITE SCREEN OVER AND OVER. I have the boot.alpha2.img file but I cannot get back into bootloader so I cant do ANYTHING!!! Yes, it is time for panic, the phone is only 1 week old and it appears to be dead BUT I KNOW YOU CAN HELP ME GET IT BACK IF I CAN ONLY GET BACK INTO BOOTLOADER………THANKS. hey man it works for the at&t version? Well I'm gonna go play with my new 'Toy'. Does this ROM give you full Exchange sync functionality??? Hello people my nexus one got messed up for some reason i dont know why i was running the latest cyanogenmod 2.1….now i am stuck it does not let me go into recovery mod for some reason can some1 tell me how i can go into recovery mod it keep taking me back to the original booloader screen thank you so much.